Listening to a championship athlete discuss their training regiment can be quite illuminating. Rare is the person at the top of their sport, who does minimal training and wins consistently, on talent alone. Living in Ohio most of my life, I was privy to story after story of athletes who paid the price to become the elite in their athletic field. 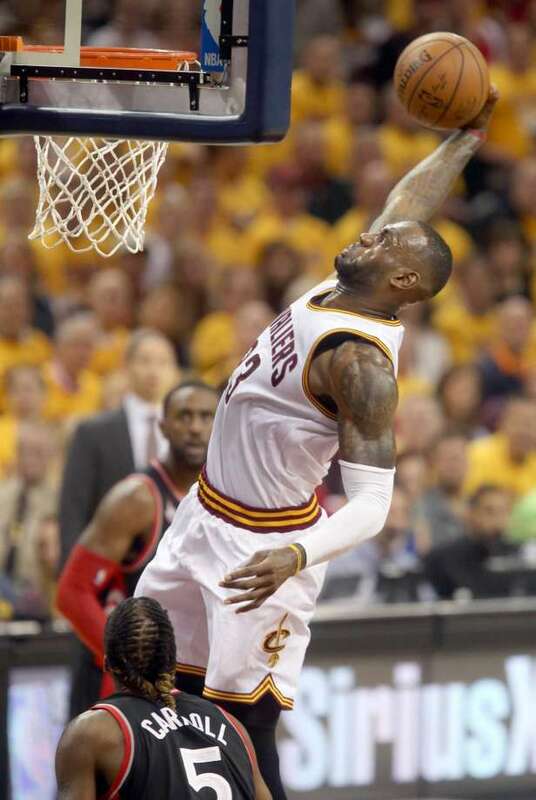 Perhaps the most impressive to me, is that of Lebron James. Perhaps one of the most recognizable athletes in the world today, Lebron James is an sports and business/marketing icon. By the time he was heading into his junior year of high school, he already appeared on the cover of Sports Illustrated as the “Chosen One” to replace Michael Jordon. This kid was great without any work at all, yet to see his training regiment, employed through out his thirteen year pro career would astound and wear out the most conditioned athlete. What drives this man? Well two singular things… He wants to win and He wants to be named the greatest player of all time. Those two elements are His purpose in life, professionally, which he pursues with a regimented program that allows for focus on little else. What keeps him going when, like normal men, he grows tired or discouraged? His passion to attain greatness. Let me first state, I am not endorsing sport or Lebron James for that matter. Although I find him an interesting guy and remarkably grounded and connected with his roots for a gazillionaire, his passion is fleeting and he is indeed chasing a ghost. He would say it is the specter of Michael Jordon’s greatness; it is more likely the ghost of a father that abandoned him or avoiding the poverty he was raised in. That being said, his singular focus on his passion, is instructive to believers who often struggle to live our purpose for God, within the program of discipleship He has commanded we execute that purpose in. From the previous two articles we have come to know our purpose as proclaiming the praises of Him who called us out of darkness and into his marvelous light. This is lived in our Lord Jesus Christ’s call to make disciples of all nations. As we understand our program to make disciples, it is labor intensive and invasive. Jesus calls us salt and light, which need to be rubbed in and revealed in the dark in order to be effective. As we consider this purpose and program, we must confess, that we are up against far greater odds than that of a basketball player. We are not trying to score against mere men, but those who are enemies of God, in a world animated by satanic power and insensitivity. Our enemies will either succumb to the love of God or seek to snuff us out. In order for us to be champions for Christ, we must have appropriate passion or we will fail and possibly fall away. 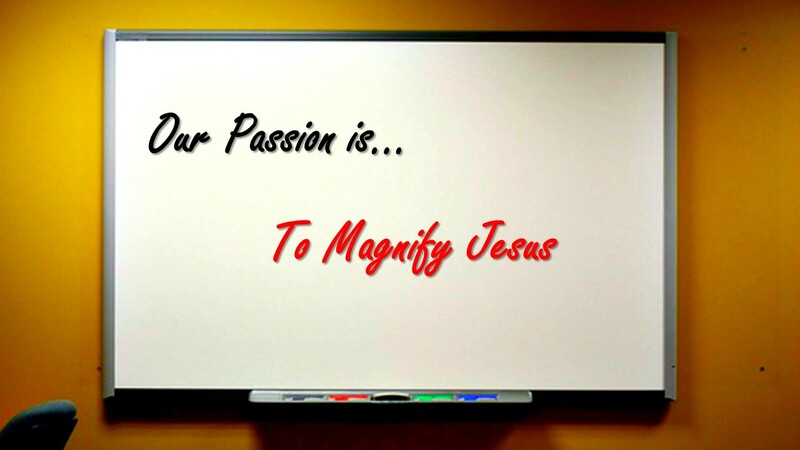 What is this passion that is to drive us? Paul reveals it in the Philippians 1:19-22. Philippians 1:19-22 (NKJV) For I know that this will turn out for my deliverance through your prayer and the supply of the Spirit of Jesus Christ, according to my earnest expectation and hope that in nothing I shall be ashamed, but with all boldness, as always, so now also Christ will be magnified in my body, whether by life or by death. For to me, to live is Christ, and to die is gain. But if I live on in the flesh, this will mean fruit from my labor; yet what I shall choose I cannot tell. WOW!!! 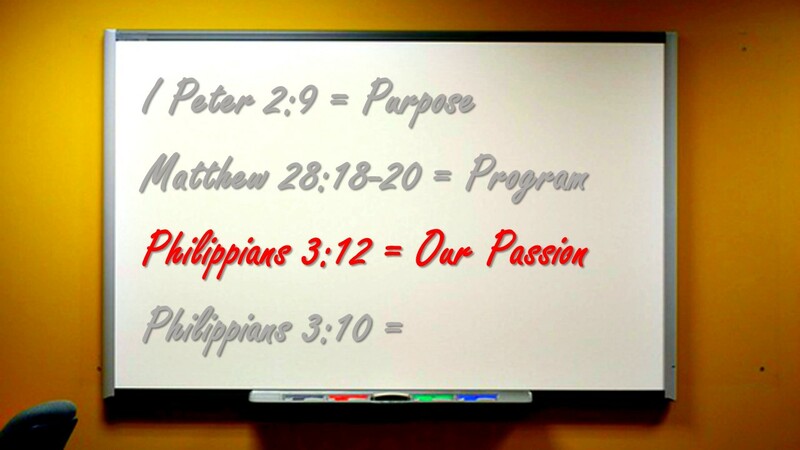 In four verses, under the inspiration of the Holy Spirit, Paul reveals our passion. His “earnest expectation and hope” (his desire or passion), is that he would magnify Jesus life and message in his life. He fully expected that magnification would happen in good times and bad, the pleasure of Christian fellowship or the pain of persecution, whether he was living or heading to his death at the executioners chopping block. For Him to bring glory to Jesus was his singular purpose and he would pursue it with passion as expressed in “For to me to live is Christ, and to die is gain”. That is passion, but where did that passion come from? Certainly we understand that his passion was birthed out of a raging love for his God and Savior; a Savior whom Paul one time hated with passion for a time. Acts of the apostles is very descriptive in how our brother Paul pursued, with passion, his persecution of followers of Jesus. He breathed out threats, separated families, consented to the death of hundreds and did this all thinking he was serving God. Yet this man, after Jesus appeared to him, would write that was God revealing His love though the mercy of the cross, while Paul was still His enemies that brought him to salvation. Paul’s passion, therefore, came from a well of gratitude, which arose from the merciful loving-kindness of the Lord . Paul knew he deserved judgment, yet was given grace. We ought to check that well of gratitude in our own life. A long time ago, my very best friend and mentor, gave me the best advice I ever received… “Mikey, don’t forget who you were or where you came from”. This was not in some effort to keep me appreciative of my home town or the parents that brought me into the world. His instruction was an effort to always be grateful for God’s grace, as I remember that I was condemned to eternal destruction for my sin; yet God mercifully awakened my heart to grace, through Jesus Christ our Lord. It is that revelation that digs that well of gratitude. As we face difficulty in pursuing our purpose through making disciple and as doubt and unbelief rise, calling us to quit, it is gratitude that keeps the well filled. Make no mistake about it, servants of the Lord can forget who they “used to be” when in ministry or growing up in the watered down American version of the faith. In that environment it, as we become more proficient (or so we think) or have attained a certain rank, it seems we expect things will become easier. This kind of thinking is foolish and the opposite of scriptural instruction for those who live godly. Before we know it, as times get tougher,our prayers begin with complaints instead of humility and they continue with a laundry list of things we need God to do, in order to see our “God ordained plans” through to implementation. Sadly, for many, our wells of living water become dry, because we are no longer actively thankful for God’s mercy, grace and love towards us. This is a huge problem for gratitude builds to overflowing love for Christ, which leads to our being continually filled with the Holy Spirit (Ephesians 3:14-21). If we are to have passion commensurate with our purpose and program we must look at our well of gratitude, yet there is something even more necessary to our having passion, and it is something only Jesus could have done and the apostle Paul reveals this truth to us. The word of God uses the phrase “lay hold of” and “apprehended”. These are terms familiar to us in the way of law enforcement. 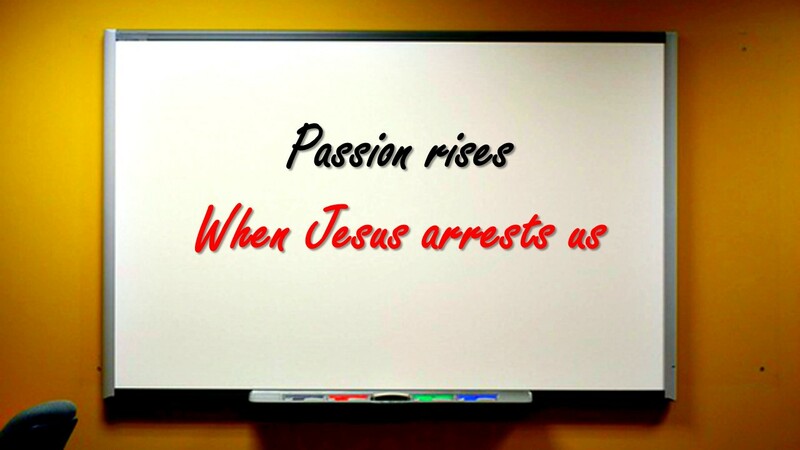 Paul’s passion arose from his arrest by none other than Jesus, where Jesus enforced God’s will. Recalling his life, prior to Christ, Paul was an enemy of God and a criminal against the kingdom of Christ Jesus. He approved of the death of the brethren, their deportation and separation from fellowship and family. Yet on the road to Damascus Jesus appeared to Him. Paul was stone cold busted by the Law Giver Jesus the Christ. Make not mistake about it, from the moment Jesus declared “I am Jesus whom you are persecuting…”, Paul was stopped in his crime spree against the church. Paul was apprehended by Jesus. Yet in stead of execution and everlasting death for his crimes against God, he was given mercy and grace. He was captured by the love of God, arrested by the compassion of Abba. His encounter with Christ made him God’s captive and apostle of Christ’s love. His passion began to heat up, and heat up till it boiled over in an intense pursuit, to lay hold of Jesus Christ, as he had been laid hold of by Jesus. Passion is an interesting word that is defined much easier as it is seen in action in a person. One can declare until their tongue dries out, that they a passionate about something, but until that word is seen in extraordinary efforts its not passion, but pathetic rhetoric. Paul pursued our purpose through the program of disciple making, because he was passionately pursuing Jesus, as in an effort to prove his love. We see this pursuit in others through out the scripture, yet very clearly in Psalm 63. Psalm 63:1-3 (NKJV) O God, You are my God; Early will I seek You; My soul thirsts for You; My flesh longs for You In a dry and thirsty land Where there is no water. So I have looked for You in the sanctuary, To see Your power and Your glory. Because Your lovingkindness is better than life, My lips shall praise You. Psalm 63:7-8 (NKJV) Because You have been my help, Therefore in the shadow of Your wings I will rejoice. My soul follows close behind You; Your right hand upholds me. We should take note that Paul’s passion was for Jesus, not a for our purpose or even our program. We often fall into the trap of encouraging saints to have a passion for souls, but this is misguided. The person whose passion leads them to pursue Christ, will also lead to the burdens of Christ’s heart. Those who pursue Christ with all their heart, will become those who witness to Christ’s greatness effectively. 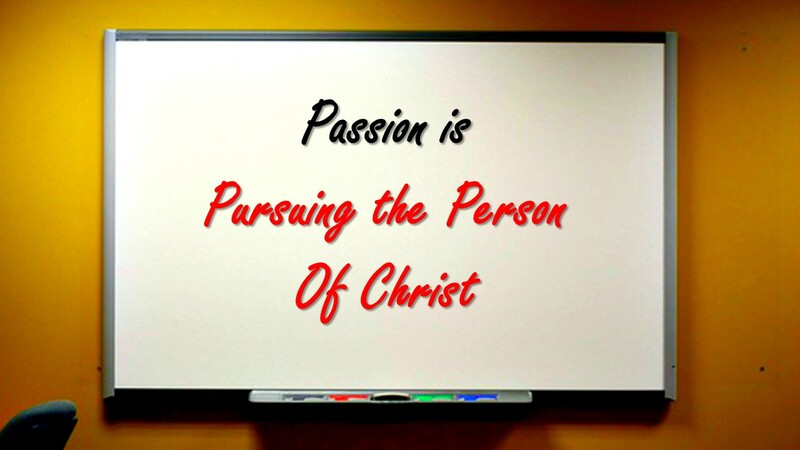 To encourage a passion for souls, when most have little passion for Jesus or effective display of that passion, is to let the cart proceed the horse. Our hands are not able to hold Jesus and other passions. Paul knew this all to well, therefore, he had to let go of all other things. He did, and considered anything not in line with his passion for Christ to be rubbish. It is the same for us. 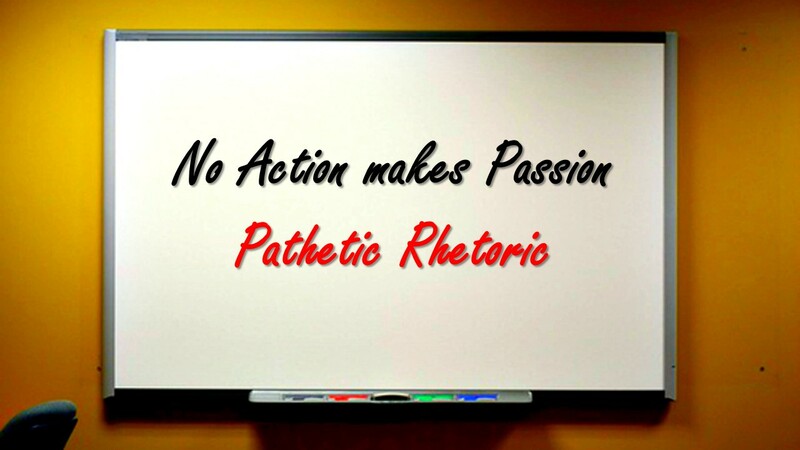 Passionless Christianity talks a good game but does not live passionate actions. Passionless Christianity comes from forgetful souls who are depleted of gratitude. Passionless Christianity is hallmarked by those who hold on to this life’s religious, material and relational expectations. As we consider the passion it takes to walk in our purpose to call the lost out of darkness and to His marvelous light, by living out the God ordained program of making disciples of all nations, let me ask two questions for prayerful consideration. 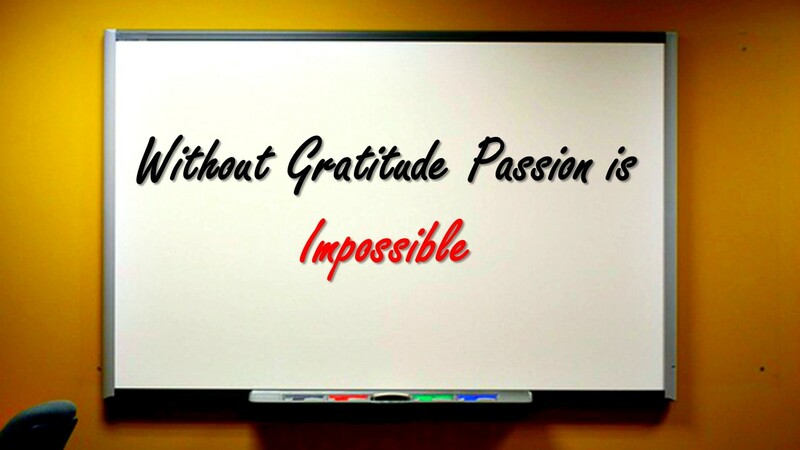 1) How is your well of gratitude? 2) What is it you are holding on to that makes grasping Jesus more difficult than it should be? This entry was posted in Gratitude, Lebron James, missional living, Passion for Christ, the Christ Life. Bookmark the permalink.